Los Angeles DUI drug arrests may become increasingly common over the next few years, as an increasing number of Californians turn to legal medicinal marijuana for treatment. 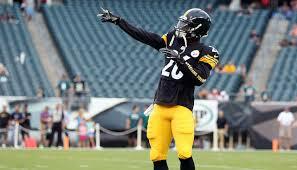 In August 2014, Pittsburgh Steelers running back Le’Von Bell was arrested on charges of DUI and marijuana possession. According to Pittsburgh’s Channel 11 News, Bell will participate in a program for first-time offenders and will face a two-game suspension sometime within 2014 or 2015. A two-game suspension is “standard punishment” for NFL players convicted in a DUI case. With 1,689 yards from scrimmage and five touchdowns, Le’Von Bell has been one of the Steelers’ best players this season. However, as many celebrities find out, fame and status will not grant Bell complete immunity from his charges. He will be on probation for fifteen months. • There is no “sobriety test” for marijuana. Often, officers have to rely on questions such as, “Let me look at your eyes.” They then have to ask the driver if he or she is willing to perform a voluntary field sobriety test, and many drivers refuse. • Marijuana levels cannot be measured the way alcohol levels can. A breath test will not prove specific levels of marijuana in one’s system. • There is not a “comparable offense” to driving with a blood alcohol level (BAC) of .08 or greater related to marijuana and other drugs. • Many DUI cases involving marijuana and other drugs, but not alcohol, are based at least partially on the arresting officer’s opinion. • Marijuana usage can often only be proven through blood or urine samples, which must be processed through a lab. With states such as Colorado and Washington legalizing marijuana, many Los Angeles residents wonder whether California will be next, and if so, what that could mean for future cases like Le’Von Bell’s. Since many people also use marijuana for medicinal purposes, there is a distinct possibility that potential marijuana DUI cases could be thrown out, because they don’t fit the “DUI per se” definition or because of medical personnel testimony.